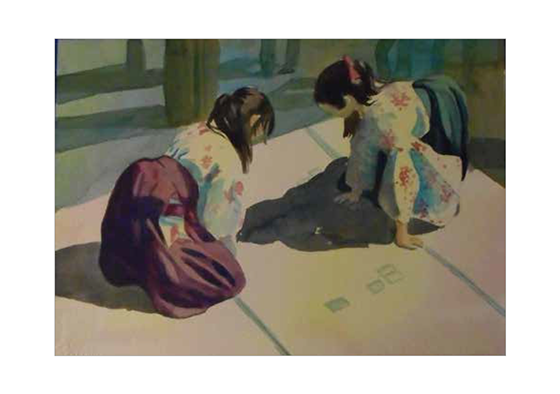 Award-winning artist and art teacher Susan Murphy presents her oils and watercolors. 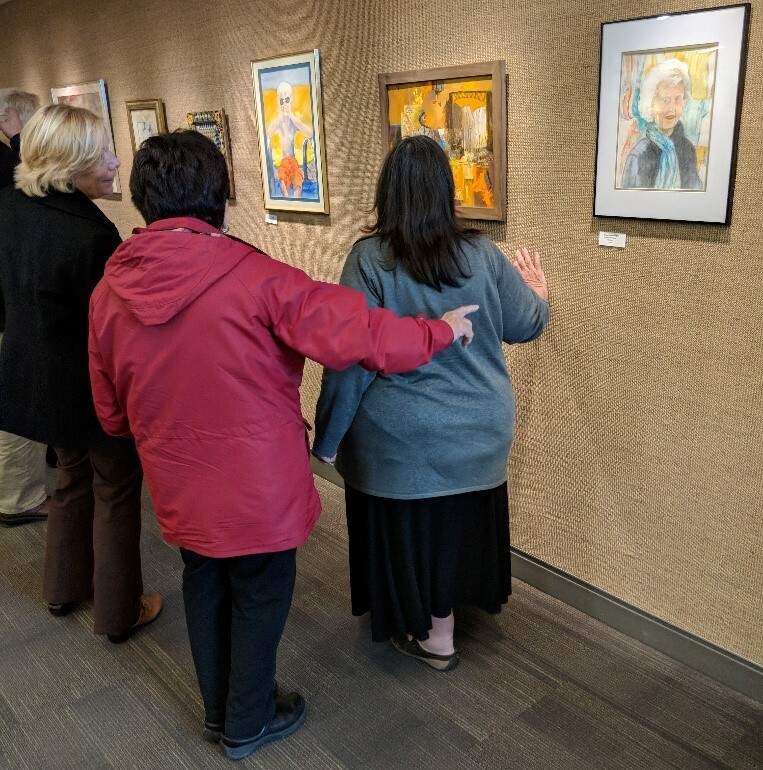 A signature member of the Central New York Watercolor Society since 1986, Susan’s paintings have been in galleries, museums and national and regional shows. Opening reception on Sunday, October 21 from 2:00 – 4:00 pm. 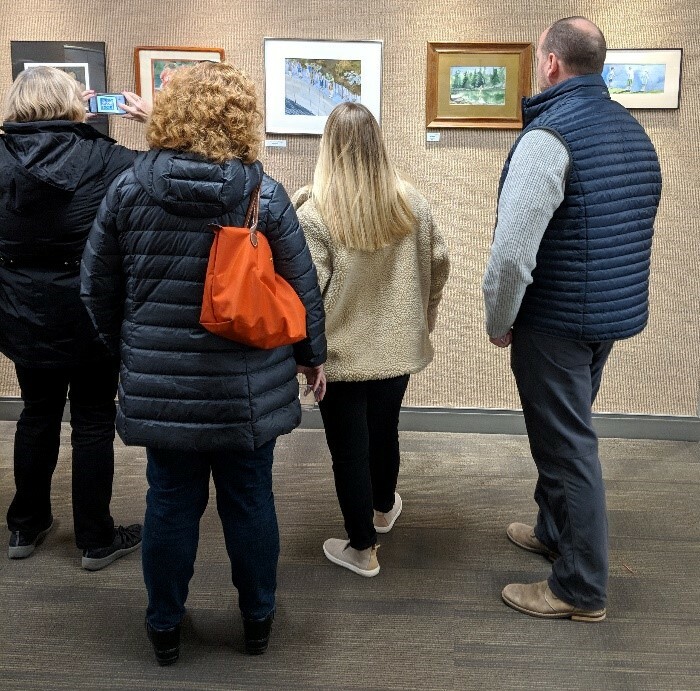 Ms. Murphy says, "I have always been interested in expressing myself in different media, but I worked earnestly in watercolor when my children were younger, not only because I loved the flowing quality of the pigment, but because it was so easily packed away. I do work in other media, but always come back to watercolor.” After studying 10 years with Mary Ellen Silkotch, a New Jersey Portrait painter, Ms Murphy went on to receive a dual Bachelor's Degree in Fine Arts and in Education at Syracuse University in 1974. She then completed a Masters of Education Degree from SU in 1979, teaching art in the Phoenix, NY Central Schools until retiring in 2014. 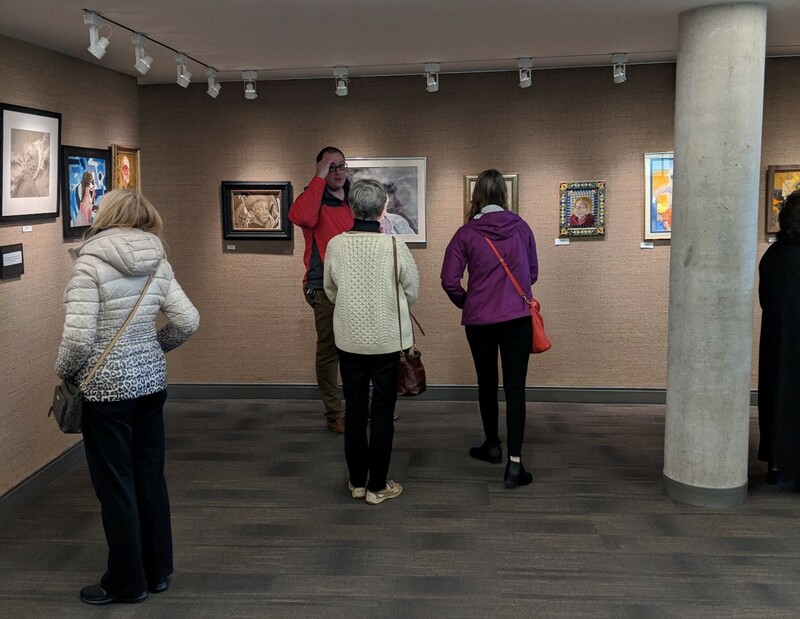 The exhibit is free and open to the public during regular library hours. For more information, call (315) 445-4323. 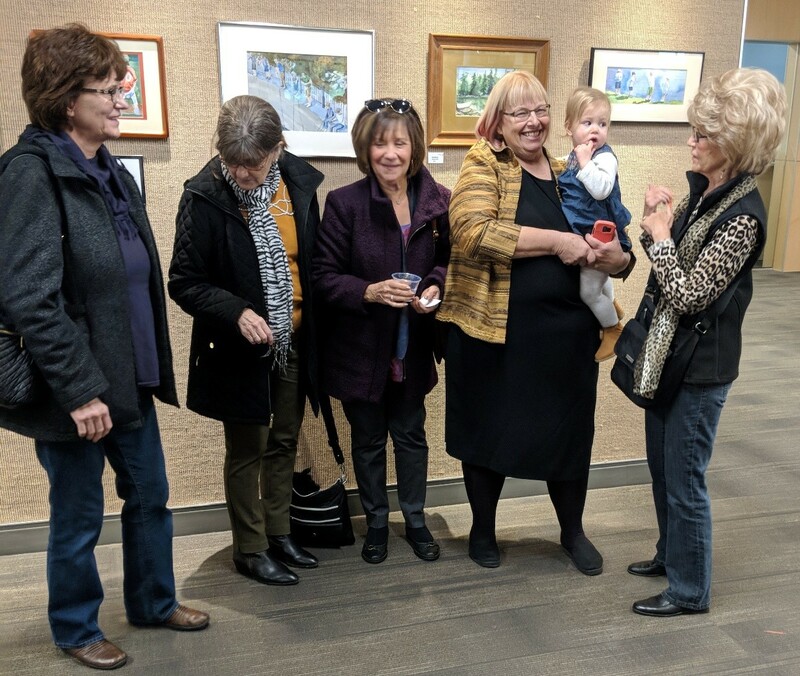 Spectators discuss Susan Murphy's artwork. Susan Murphy explains her work to reception guests. 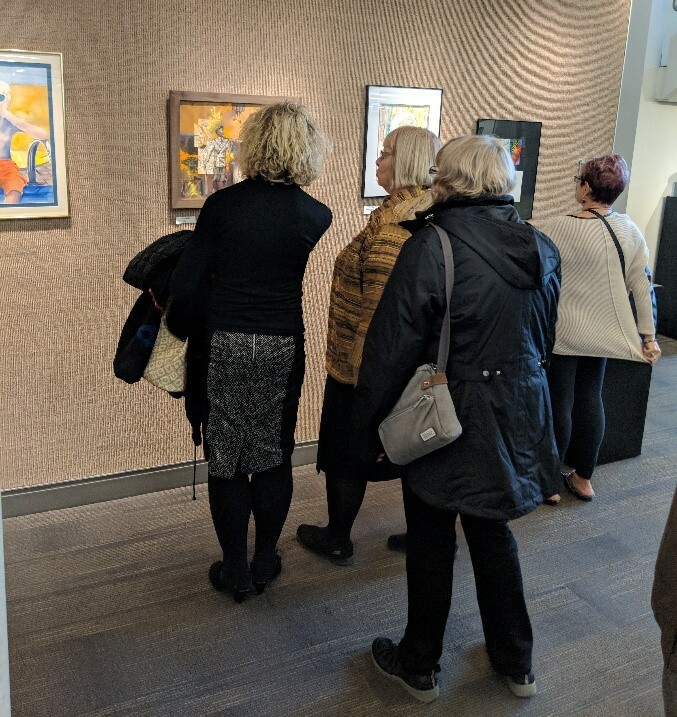 Guests of the opening reception observe Murphy's work. 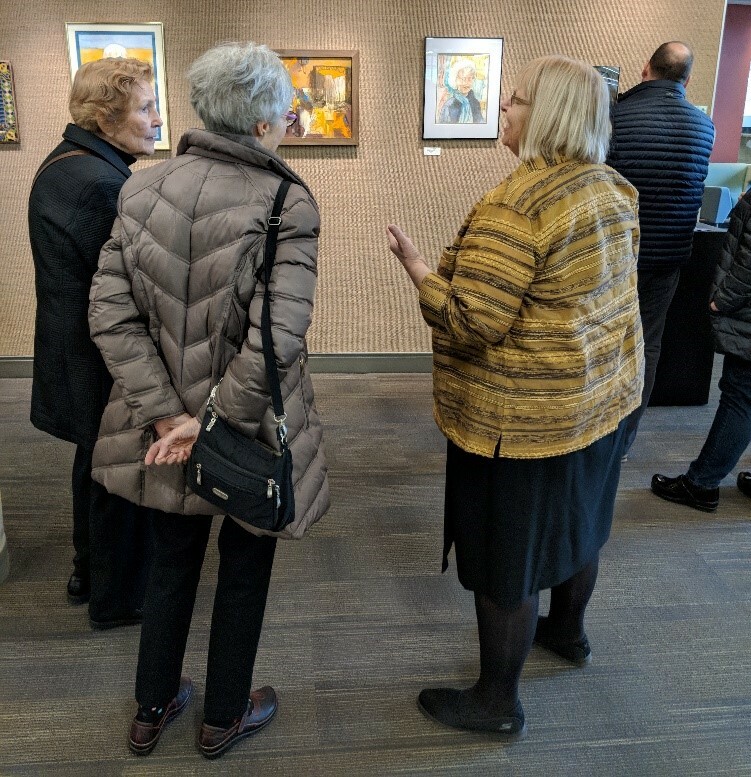 Susan Murphy explains a particular painting to guests. 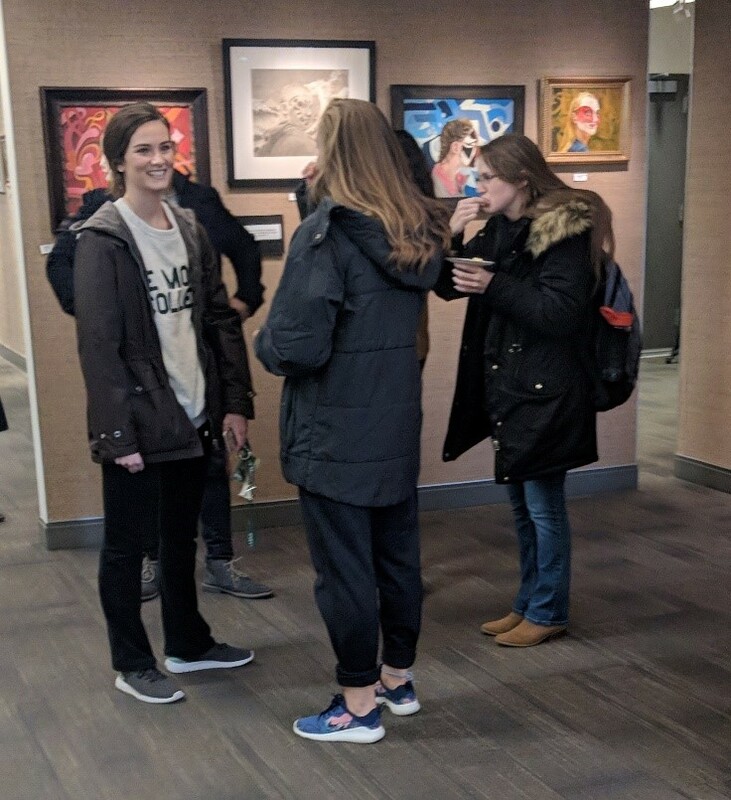 Le Moyne students enjoy the opening reception. 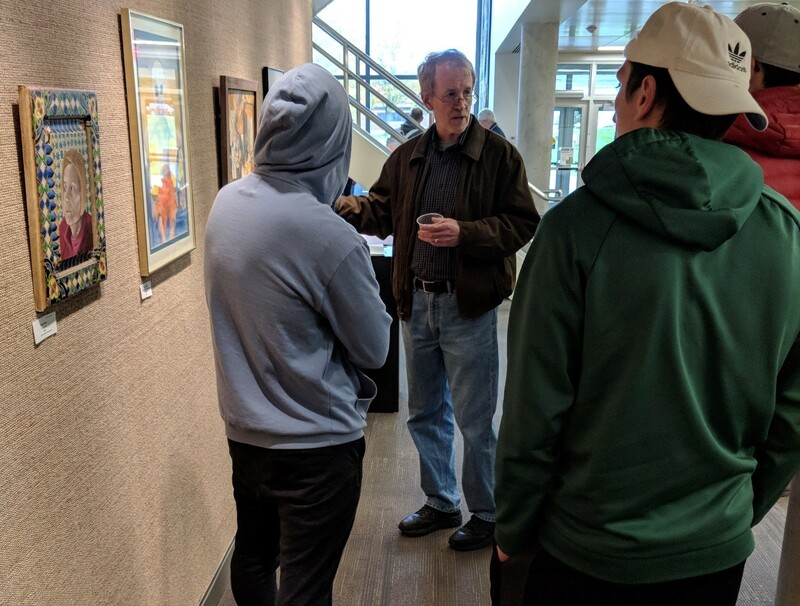 Le Moyne Professor of Photography David Moore discusses the artwork with his students. 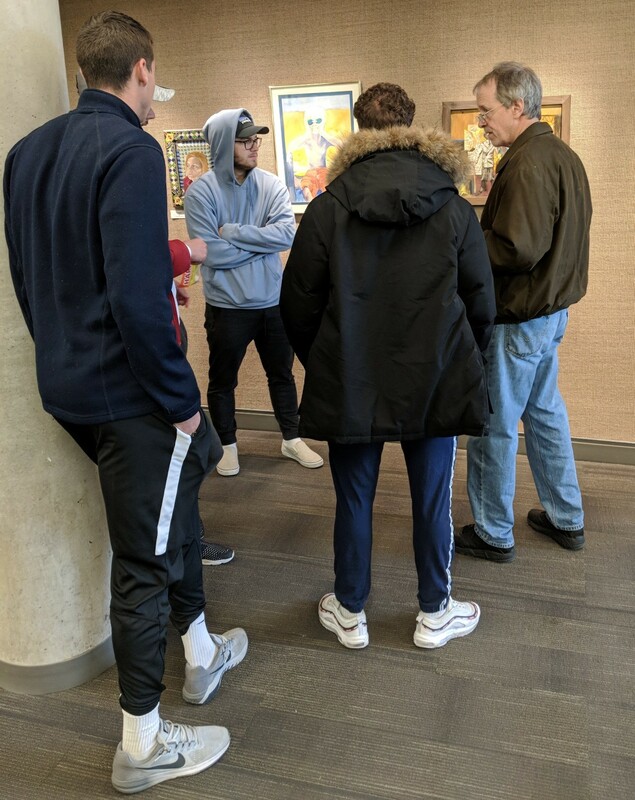 David Moore speaking with students about their take on Susan Murphy's artwork. 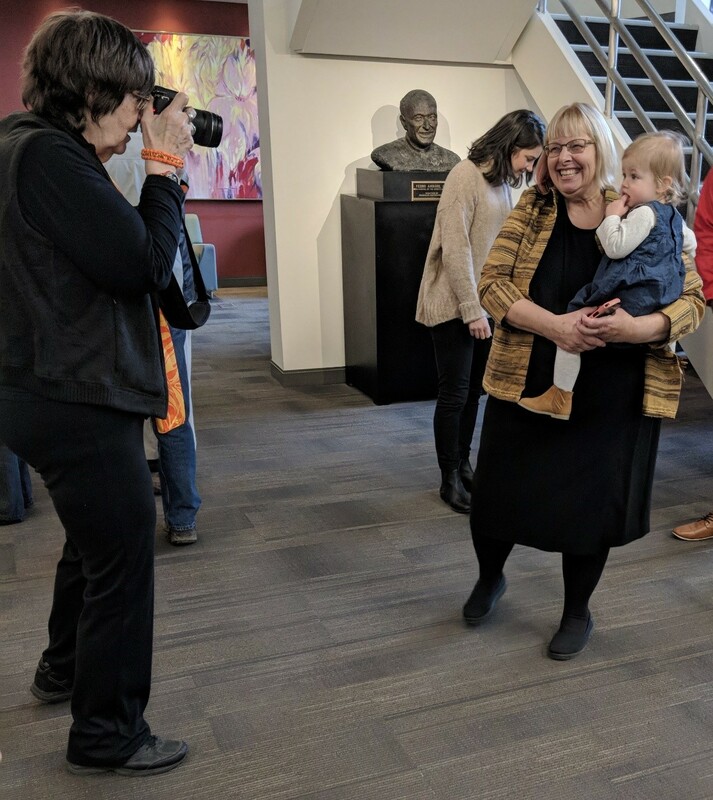 Susan Murphy getting photographed with her granddaughter. 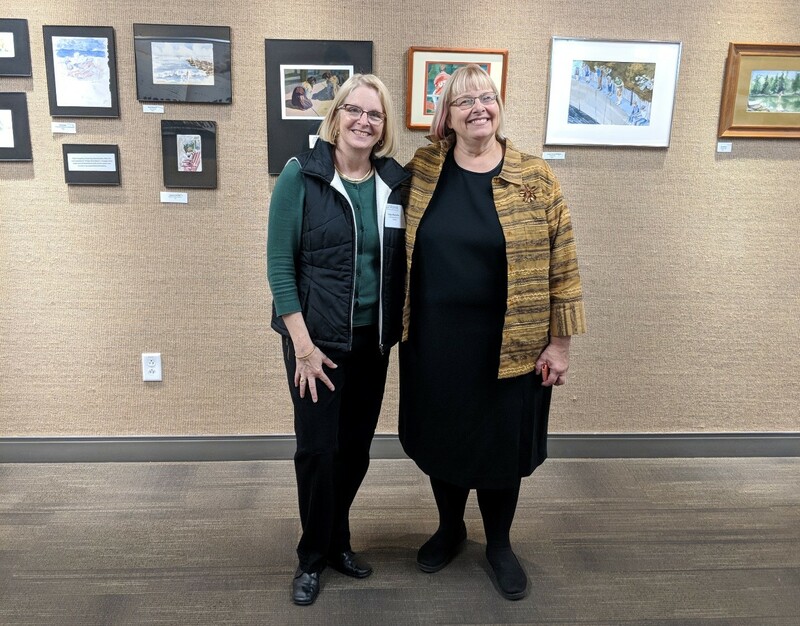 Library Director Inga Barnello with Susan Murphy. Susan Murphy with friends and granddaughter. 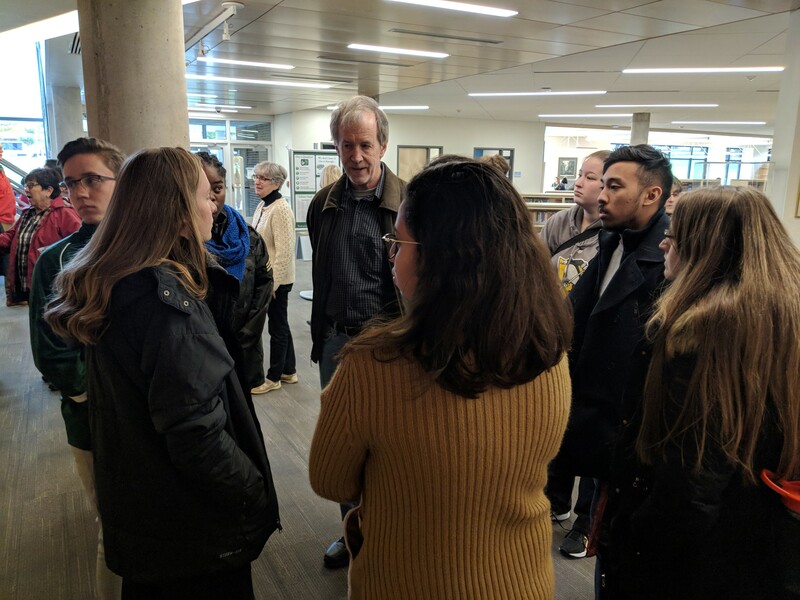 David Moore explaining his take on Murphy's art with Le Moyne students. << Previous: Brian Cirmo : "Patterns, Cycles, and Change"